THANK YOU cards are a staple at my house. and I love to keep thank you cards on hand. Thank you cards that you can make and keep handy. 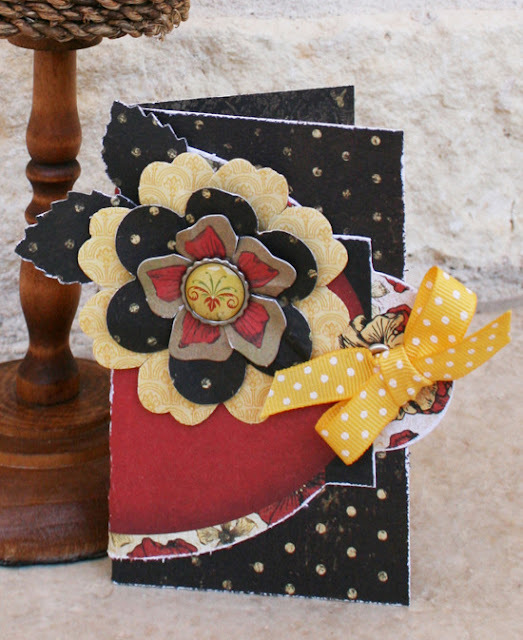 Designer Tip: Using punches really speeds up the card making process. Amy said: "It's our family tradition to make thank you cards on Christmas Day after we open all our gifts and we always, always make sure to send a thank you card to Santa." I must say that I've honestly never thought about making mini-cards, but I loved this idea! I also decided to make mine quick and easy! 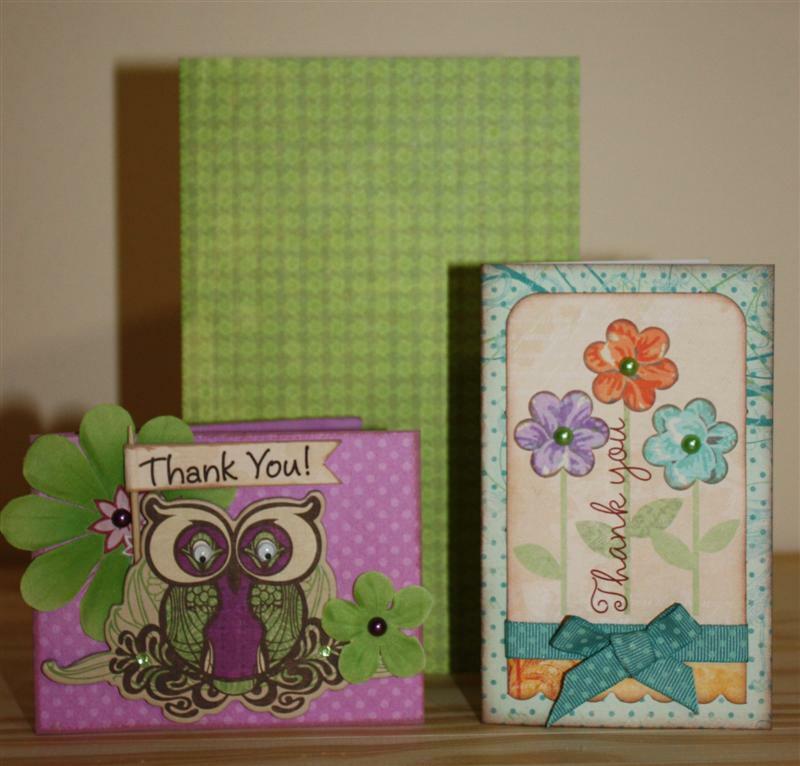 Using the Noteworthy pieces and one piece of Double Dot cardstock made these go together super fast! This one is a bit of a different size. It's 4 x 2 1/2". I did it the same way as the other one with a bit of different placement. 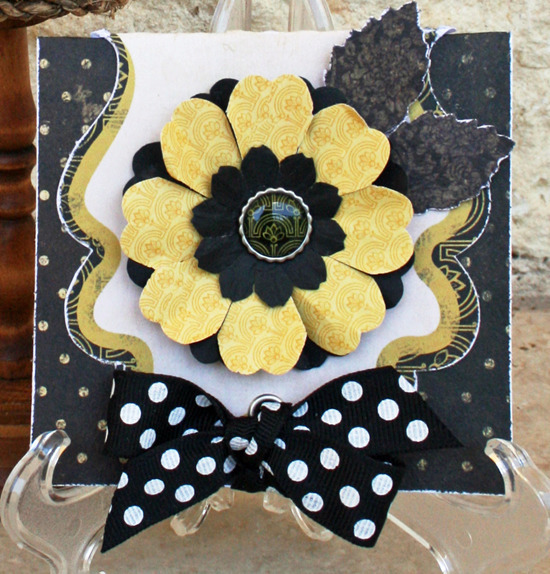 The center layer of the flower is punched from the Double Dot and the top layer is also from the Noteworthy package. I cut some slits between the petals to make it more dimensional. the brad can be attached through the back to do that duty. 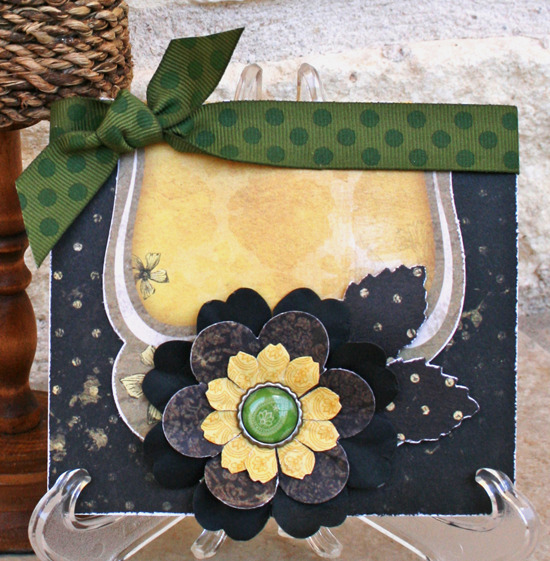 The eyelet on the front of the card, goes through the layers of the flower, too. Tip: To really speed up the process on these cards. 1. Cut all the cardstock backs to the sizes named. 2. Pre-punch 6 leaves and 2 flowers. 3. Distress all pieces of cardstock, Noteworthy pieces and leaves. Use the end of a pencil to scrunch up your flowers a bit for added dimension. Don't forget to punch through the layered flower on the 3rd card. 5. Attach ribbon, as shown. 6. 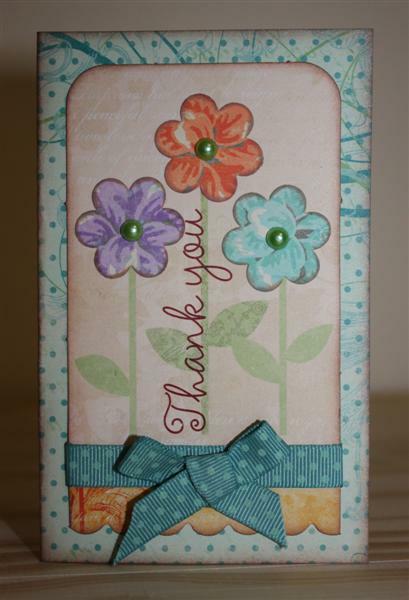 Glue down flowers on the first two cards and add the brad to the last one. I made my minis using "leftovers" from my Bo Bunny stash! 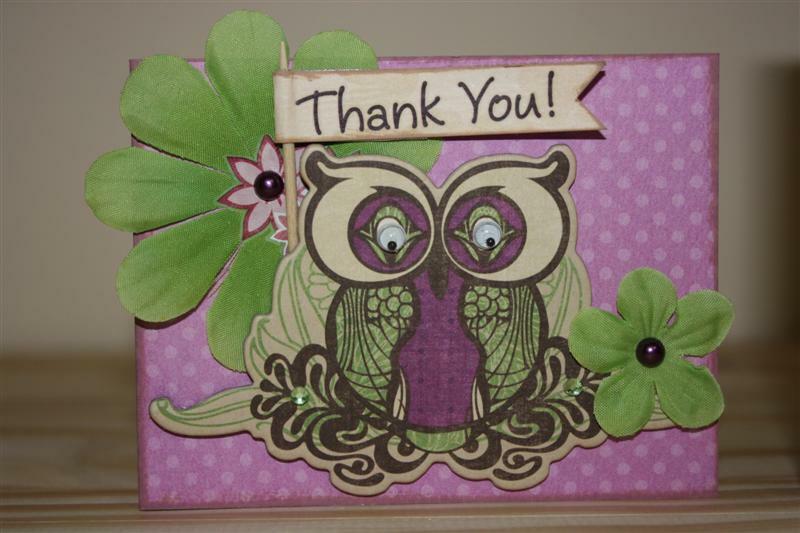 3. Who doesn't love a homemade thank you card? This card measures 3"high x 4" wide. This card measures 4 3/4" high and 3" wide. Wow these cards are just fantastic!! Wow, these are super! Each set is so eye catching and so very creative. Brilliant ideas for cards! I am on a high! Wowwwwwwwwwwww!! These are all gorgeous!!!! LOVING the flowers! All of these cards are so cute. Such good ideas! Really cute cards! Love all of the variety in this post!!! 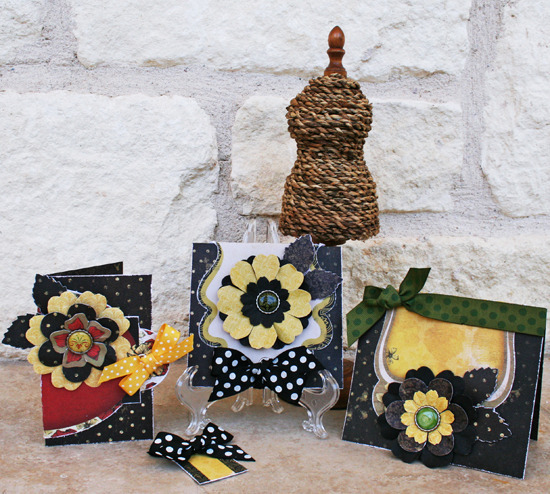 These are such great card ideas and so darn cute. Love them. Oh My! Love these cards. So cute and fun. the Christmas one with the chevrons are darling. So much fun. Great job DT. Great job girls and fabulous Idea to do mini Cards.